Bheerhugz Café is a bar /resturant establishment located within the Ikeja City Mall complex at Alausa on the Lagos mainland. 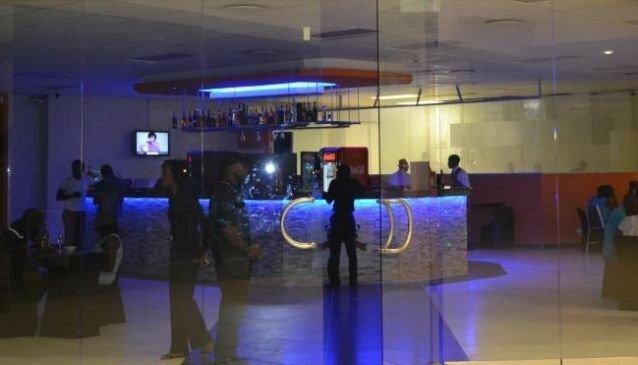 Bheerhugz Café is quite popular if you are in the Ikeja area, their bar and lounge comes alive every night with something different, a live band or ladies nite. They host many live events with guest appearances from major celebrites, so you are always bound to have a great night out. In their resturant they serve Italian, American, Caribbean, Soul and Seafood. However we have been told their spagetti is top class. So if you are in the Ikeja area, and looking for somewhere to have some food and drink and overall a good evening out, then Bheerhugz Café is worth a visit.